Bob Rubin, Doug Peters, and Jason Sheffield are part of a seven-lawyer team invited by the United State’s State Department and its Bureau of International Narcotics and Law Enforcement Affairs (INL) to train criminal defense lawyers in the Republic of Georgia, a former satellite of the Soviet Union. Formerly, criminal defense lawyers were relegated to bench trials (trials without juries) where corruption and backroom deals sealed the fate of most criminal defendants. However, in a move to bring due process and fundamental fairness to its citizens, the Republic of Georgia recently made as part of its code the right to a jury trial. It took effect nationwide, beginning January 1, 2017. INL has previously trained judges and prosecutors through advocates from the United State Department of Justice. 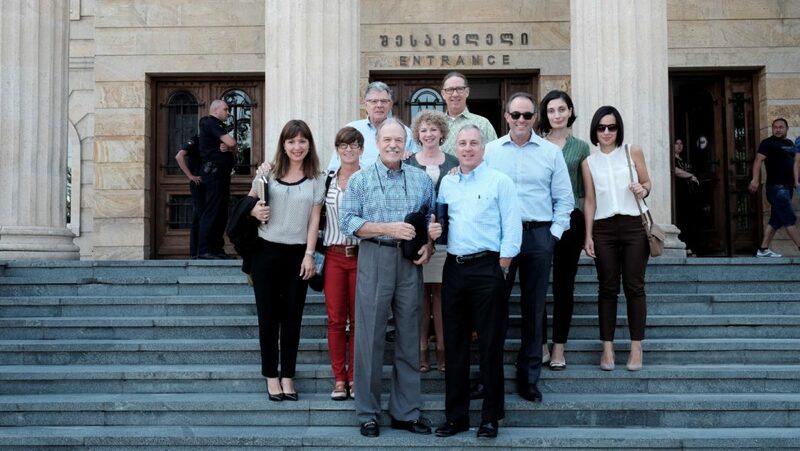 INL has turned to Peters, Rubin and Sheffield to lead the team of lawyers as they teach trial advocacy skills to Georgian lawyers, including Theory of the Case formulation, jury selection, opening statements, direct and cross-examination, and closing arguments. The program will include multiple trips over the next 18 months, as the seven-lawyer team trains Georgian lawyers all over the country, none of whom have handled a jury trial. There is a saying in the Republic of Georgia that criminal defense attorneys are like “the flowers on a dead man’s chest.” Peters, Rubin & Sheffield, along with the other four members of the team, are dedicated to making the saying a part of Georgia’s past.